Colombian navy submarines undergoing overhaul and modernization are receiving new periscopes from Germany’s Cassidian Optronics. The periscopes are the company’s SERO 250 search periscope, which features state-of-the-art sensors, including infra-red. The Sero 250 was specifically designed for the submarine refit market to replace legacy systems with minimal platform adaptation. German shipbuilding company HDW is conducting the overhaul and upgrades to the submarines and Cassidian said Colombian companies would be involved in activities to integrate the SERO 250s onto the vessels. Cassidian Optronics was formerly known as Carl Zeiss Optronics. This entry was posted in The world's submarines and tagged 209, Carl Zeiss Optronics, Cassidian Optronics, Colombia, German, Germany HDW, Sero 250 Search Periscope on March 19, 2013 by jasonlockley. On January 8th the Colombian Navy captured its first drug smuggling submersible vessel of the year. This one was 18 meters (56 feet) long and capable of carrying over four tons of cocaine. It had been abandoned at sea and was towed back by a Colombian Navy ship to try and find out what happened. Last year the Colombians captured eight of these. Naval forces from the United States and other nations along the Pacific coast and the Caribbean caught even more. But the detection system, run mainly by the United States, locates a lot more of these cocaine subs than there are warships available to run them all down. Despite losing over a hundred of these vessels to the U.S. and South American naval forces (and dozens more to accidents and bad weather) the drug gangs have apparently concluded that the subs are the cheapest and most reliable way to ship the drugs. It’s currently estimated that over 80 percent of the cocaine smuggled into the United States leaves South America via these submarines or semi-submersible boats. Most of these craft are still “semi-submersible” type vessels. These are 10-20 meter (31-62 foot) fiberglass boats, powered by a diesel engine, with a very low freeboard and a small “conning tower” providing the crew (of 4-5), and engine, with fresh air and permitting the crew to navigate. A boat of this type was, since they first appeared in the early 1990s, thought to be the only practical kind of submarine for drug smuggling. But in the last decade the drug gangs have developed real submarines, capable of carrying 5-10 tons of cocaine that cost a lot more and don’t require a highly trained crew. These subs borrow a lot of technology and ideas from the growing number of recreational submarines being built. Ecuadoran police found the first real diesel-electric cocaine carrying submarine three years ago. It was nearly completed and ready to go into a nearby river, near the Colombian border, and move out into the Pacific Ocean. The 23.5 meter (73 foot) long, three meter (nine feet) in diameter boat was capable of submerging. The locally built boat had a periscope, conning tower, and was air conditioned. It had commercial fish sonar mounted up front so that it could navigate safely while underwater. There was a toilet on board but no galley (kitchen) or bunks. Submarine experts believed that a five man crew could work shifts to take care of navigation and steering the boat. The boat could submerge to about 16 meters (50 feet). At that depth the batteries and oxygen on board allowed the sub to travel up 38 kilometers in one hour, or at a speed of 9 kilometers an hour for 5-6 hours. This would be sufficient to escape any coastal patrol boats that spotted the sub while it moved along on the surface (its normal travel mode). The boat could also submerge to avoid very bad weather. The sub carried sufficient diesel fuel to make a trip from Ecuador to Mexico. There was a cargo space that could hold up to seven tons of cocaine. 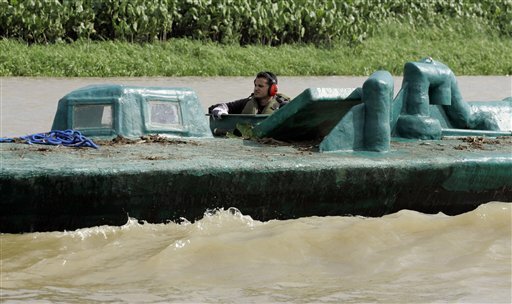 The Ecuadoran boat was the first such sub to be completed but not the first to be attempted. Back in the 1990s Russian naval architects and engineers were discovered among those designing and building a similar, but larger, boat. However, that effort did not last, as the Russian designs were too complex and expensive. It was found easier to build semi-submersible craft. But more and more of these new type subs are being found. This entry was posted in The world's submarines and tagged Colombia, Drugs, Submarine on January 17, 2013 by jasonlockley.